Manila, Philippines - Janet Lim Napoles surrendered today, August 28, 2013 at 9:37 p.m. to President Benigno 'PNoy' Aquino III at Malacañang Palace. "The President turned her over to the custody of Interior and Local Government Secretary Mar Roxas and Philippine National Police Director-General Alan Purisima for processing and booking. ", Statement of Secretary Edwin Lacierda via the Official Gazette. Kapunan, Napoles' lawyer refuses to divulge exact location of her client after surrender. "Obviously, we cannot mention that [for her security]", she said. As of 11:32 p.m, she confirmed that she's with Napoles already. "When there was a reward this morning, she (Napoles) felt that her life was already seriously in danger. ", Napoles' lawyer said. Kapunan also wants to assure that her will get due process of law. Napoles and her brother, Reynald Lim are wanted on charges of serious illegal detention arising from the alleged kidnapping of Benhur Luy. Kapunan said that Reynald Lim will surrender soon. 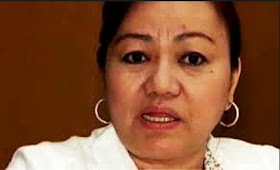 Napoles is the alleged 'brains' behind the P10-billion scam or mis-use of Priority Development Assistance Fund (PDAF) by some lawmakers and the P900-million Malampaya Fund issues. The businesswoman escaped the long arms of the law August 15.